And he brought a ton of #BOOMS with him! I’m sure more #QAnon posts will be forthcoming, but I just wanted to send up a flare and let everyone know that Q is back, right now. Wonder if he’ll explain why the blackout was necessary. I’m working on another article right now. You guys will be notified when posted, of course. In addition he kept reminding people had more than they realized. Said a lot. Well going silent got people back-tracking and plumbing and discovering as would not have likely occurred with fresh Q-foods brought to the table. Q-hunger drove back to plucking up crumbs. IMO it will all make more sense now as it explodes. thank you for sending up the flare!! looking forward to the next Q & the next NeQnRevolt!! I asked Q to denounce that LARP EyeTheSpy on 8chan. The sooner, the better. Today’s Q post is connected to 4/4, according the Q clock. On that day, Q made 21 explosive posts! There will be fireworks this week. Stay tuned. The post seen upside down, is a gun? Could this be one of the booms? That’s no BOOM. Anybody with a brain POTUS can pardon anybody he wants. That’s no BOOM. Anybody with a brain knows POTUS can pardon anybody he wants. I didn’t know that POTUS could pardon HIMSELF. That’s probably news to most people. Nothing in that sentence stops the Prez from issuing a pardon to himself. Personally, I think Trump is just trolling the “Resistance” to provoke them into making impeachment their campaign theme. That is a deadend, since there’s nothing to impeach him for. Trump is also rattling Mueller’s cage to push him to further exposing himself as a partisan hack. It’s just bravado, the man has balls the size of a melon. He knows they can’t touch him. More than the country already know this Russia Russia Russia shitshow is not going anywhere. Eyethespy told us to flip it upside down, go check it out. Eye the Spy is fake. I’ve written two articles about him already.? You can be dumb and follow still him off the cliff if you want, but don’t mention him here. Also, he ripped it from anons. He didn’t figure that out himself. Also, I posted the same thing to my gab literally hours ago. Flip Q’s message and it’s a G_N ! And Q is the trigger. Thanks to an anon! Can you cover what’s happening in Tucson Arizona with Veterans On Patrol. These guys got stopped by police midway their investigation which revealed TONS of info regarding child/human trafficking along the I-19 Freeway of Arizona. Hundreds of volunteers have already been there, those who went today ran into police who swarmed the area. At the time of this post, Pulaski and another veteran are standing their ground on a tower. During livestream video cuts off soon as he mentions Clinton Foundation. Annnd, there’s already an active shooter reported at the San Diego marathon finish line! Q BOOMs, they panic and scramble for the false flag. Could they be any more obvious?! NR have you seen any posts on the chans regarding the child trafficking camps found outside of Tuscon? I watched Craig Sawyers video and it was unbelievable. If the chans come up with anything on that situation will you please post the info for those of us that have no idea how the chans work. One other thing I always wanted to ask Q about was the murder of Molly Macauley and Major General John Rossi. If you get a chance can you ask Q if the cabal did it per MS-13. I wondered if it was because they knew the satellites were switching voting machine votes or that other nations were allowed into our military comms through our satellites. Thank you. Mom lets go in hope – first step? Did we Q last week? There’s a picture that reveals itself in Q’s post as well. It looks like an upside down gun! I saw the gun image on Twitter of the Q post in this article flipped upside down. LOL you need to follow my Gab! Not just a gun, but a gun being fired. This morning I woke at dawn consumed the thought- what if all those booms were just boomers boomerposting other boomers and getting their shows boomed along with it? Was that peak boomer there? How dull. And then bang. Was working on an article about it for something like 6 hours today. Finally published a few minutes ago. Hey Neon, just saw this about Spy Eye dude who has been hassling you and I thought it was odd: thoughts? Seems weird! 3rd confirmation that EyeTheSpy is part of the same Millitiary Intelligence operation that gave us Q. 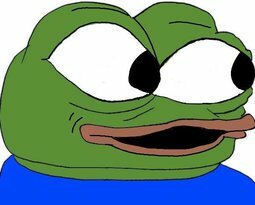 The chans were down and Eye was activated to keep up spirits while they fixed it. Horse manure. EyeTheSpy is just a LARP. Total garbage. I already wrote two articles about EyeTheSpy. I think I’ve made where I stand on him very clear. Neon, you may want to reevaluate your eyethespy opinion, 8:31 am tweet today had 4 booms. Remember what Q said. No coincidences. I think you’re wrong on this one. Not trying to troll here either. What is there to rethink? I mean, did you read his latest on eyethespy? I believe it is you who needs to remember what Q said. No outside comms. Full stop. Period. Finito. Amen. Q made it beautifully simple to identify who to ignore. Anyone claiming they have insider knowledge or access to classified intel, (especially on Twitter FFS) is not telling the truth. It’s pretty obvious at this point. Pay attention. Looking back on Q’s major predictions for May, Q said 2 major things would happen: 1) Jeff Sessions would be making many arrests the last 2 weeks of May, and 2) May would be a terrible month for the Pope. Neither happened. I’m not trying to discredit Q but my confidence in his/her/their predictions is really starting to dwindle after many other predicted events failed to occur as well. My advice would be to not make such bold predictions and rather just go silent and let actions speak louder by actually arresting/assassinating major evil players at this point and use the element of surprise instead of always tipping off the enemy with posts that forewarn them. If you’re going to make statements about Q’s posts, at least mention the post number. 1) Q never mentioned arrests for the end of May. Feel free to quote the post where Q said that. 2) The Pope did have a bad May. The entire leadership of the Catholic Church in Chile voluntarily submitted their resignation in light of the pedo scandal in that country. Chile is a Catholic country. Its official religion is Catholicism (95% of Chileans are Catholic). The Catholic Church has so much influence in the country, the Church has its own university (Universidad Católica) and its own TV country-wide network (Canal 13). It’s not just a community channel like those religious channels that broadcast only a few hours in some US cities. Canal13 reaches the entire country via satellite and was one of the first TV networks in Chile. Much of the political leadership in Chile graduated from UC, an institution that receives public funding. Would you ever imagine a Catholic school officially receiving taxpayers’ money in the US? Progressives would have a heart attack. This massive voluntary resignation was a big deal in the Catholic world. Not so much in the US, because of our secular society. So yes, the Pope had a bad month. Neon, I think eyethespys tweet this morning with 4 booms, along with the tweet of “Alice is back” at 4:11 est , 48 minutes before q posted is somewhat significant. Yeah, you “wrote your articles” on your stance of eyethespy but don’t think you can ignore that. I’m a fan of your page and not trolling here. See, it doesn’t work like that though. I called ETS a fraud. Either you believe him, or you believe me. You literally can’t listen to us both. I’m seriously debating banning anyone else who mentions EyeTheSpy from this point out. It’s taken up way too much real estate on my site. Cut it out with this ETS BS. Your post is a lie. I’m in California. Q posted at 2:58 EST. That’s 11:58 PST. Twitter timestamps are related to users’ timezones, they’re not absolute. The LARP posted his tweet at 1:11 PST, more than one hour after Q.
I’m not in favor of censorship but promoting a freaking LARP, who’s out to cause distraction from The Storm, is not only nonproductive but deceiving.